The lawn is something that many homeowners take a great deal of pride in. We all want that thick, luxurious grass that is frequently noticed by passers-by and makes the neighbors envious. We want our yard to not only be attractive but provide us with a soft space to walk, play, and relax. While many yards can be outstanding due to their landscaping or colorful flowers or trees, it can take a lot of work to have great looking grass. 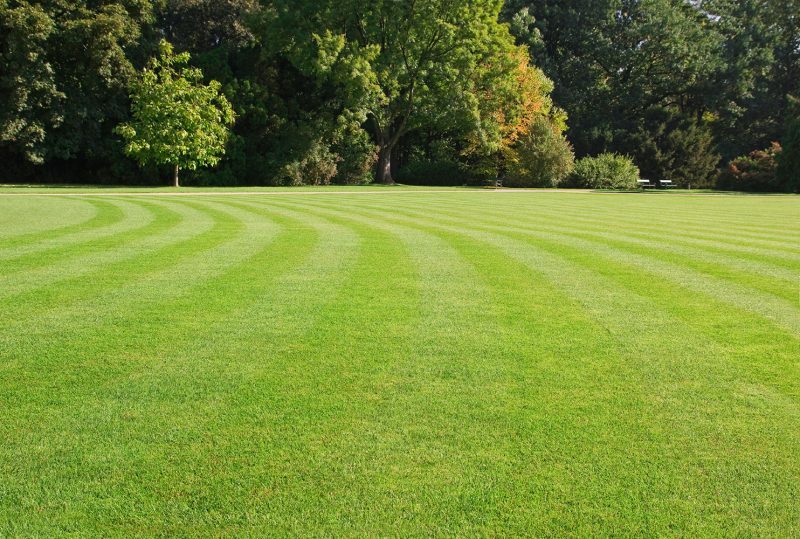 In this series of articles, Grass Seed 101, we will address some of the most common questions people have about grass and their lawn – from care and maintenance, to mowing tips, watering recommendations, how to plant grass seed and everything in between. We’ll start with this article on the 8 most popular grass seed types that are grown across all areas of the US. Whether you are starting a brand new lawn from bare dirt or are simply trying to patch a few bare spots in the yard, one of the hardest things to determine is which type of grass seed you should plant. 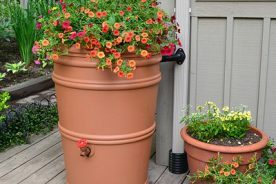 There are numerous varieties and each has its differences in when and where to plant, what type of soil and water conditions it requires and how it reacts to varying amounts of sun, shade, and traffic. The area of the country in which you live and the climate it experiences can also affect the type of grass you put in your yard. 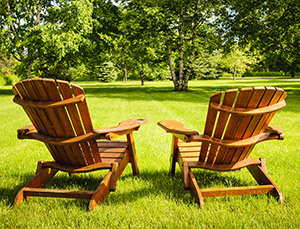 For simplicity’s sake, grass seed that is used for lawns, often referred to as turf grass, is divided into two categories – warm season and cool season. Warm season grass seed is planted and grows best in Southern states where climates get hot and stay warm all year long. Cool temperatures cause these grasses to go dormant and they are more apt to be drought resistant and can take a lot of sun. When planting, warm season grasses start best with sod or grass sprigs instead of seeds. Cool season grasses are more prevalent in the north and tend to grow quickly in the spring and fall. While they do go dormant in harsh cold, winters they also will turn brown and go dormant if there are periods of high heat and dry spells during the summer. Most cool season grasses are grown from seeds. Below you will find more specific details about 8 of the most popular types of grass seed that are grown in both the warm and cool season areas of the US. By learning more about the appearance, basic care, and planting tips of each type, hopefully you can find the best type of mixture of types to fit your specific lawn. Bermuda Grass is not a native to the United States, but was brought here from the warm climates of Africa or India. It is a warm season grass that became one of the most popular grasses grown in the southern states. Because of its fine texture and softness, Bermuda grass is a popular choice for home lawns, sports fields, and golf courses. If it grows too high this grass can produce unattractive seedheads, but these are easily kept under control with proper mowing. This grass comes in a variety of green hues from dark to medium due to the number of hybrids that have been produced. As a warm season seed, Bermuda grass is best planted in the late spring. Grass sprigs and seeds are the best sowing methods. It is easy to establish and once planted will fill in bare spots quickly. This grass grows well in many types of soil and is weed resistant. Bermuda grass is an aggressive growing grass and can easily overrun flower beds and border if it is not kept under control. Best in tropical climates it stands up to drought and grows best in full sun. It does have a medium need for water so weekly watering is recommended during dry months. Be careful with mowing and only start after the last hard freeze has passed and soil temperatures have reached 55 degrees. Buffalo grass is one of the only native grasses to the United States, found predominately in the Great Plains. It is the type of grass that fed the herds of buffalo that roamed here and was also used by the pioneers to build their first sod houses. Buffalo grass is fine in texture and has a thin leaf that is blue-green in color. It is a popular choice for those who want to create a natural, grassy area that will not necessarily be mowed for a lawn. It is also commonly used in cemeteries, parks, school yards, and the roughs on a golf course. When you consider planting Buffalo grass keep in mind that it grows best in clay soil. It is a warm season grass that should be planted in early fall or spring. 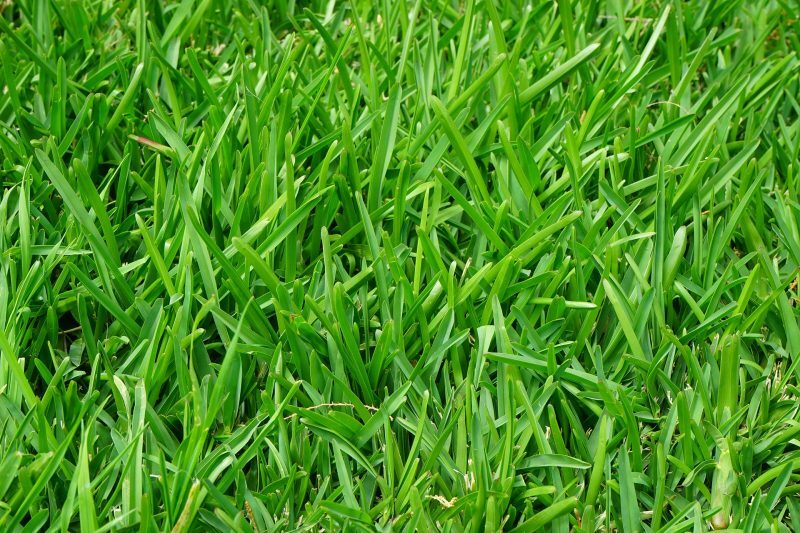 This grass grows best when started from sod or sod plugs that have been kept moist at the roots. Once this grass is transplanted it may lose some color but if kept watered well it will get its vibrant color back within 2 weeks. Caring for Buffalo grass is simple and minimal. It does not need fertilization and actually has been known to react adversely to fertilizers. Once a month mowing at a height of 2-3” is sufficient and it is easily removed if found growing over into flower beds or sidewalk cracks. It thrives in full sun, requires little water, and has a high resistance to drought. Another warm season grass, Centipede grass got its name because it spreads through surface runners that creep along the ground. Centipede grass has a rough, coarse texture. It grows low to the ground and creates dense growth that is attractive in lawns and helps in keeping them weed free. It is dark green in color. A warm season grass, centipede grass grows best in the lower south especially in areas with acidic or sandy soil. It grows from seeds or grass sprigs and is naturally weed and pest resistant. This grass grows slowly so is not always best for quickly filling in bare spots. It does not go dormant during the winter so being exposed to long periods of 5 degree temperatures or less will kill it. Centipede grass requires medium amounts of watering and is only slightly drought resistant. It grows best in full sun or partial shade. It should be planted only in areas of low traffic and requires weekly mowing to a height of 1-2”. There are numerous varieties of Fescue grass including fine fescue, tall fescue, red fescue, and hard fescue. 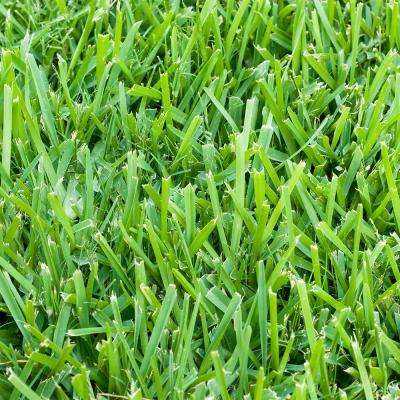 The type that will be addressed here is turf-type tall fescue which is popular in the lawns of homes, industrial locations, and athletic fields. 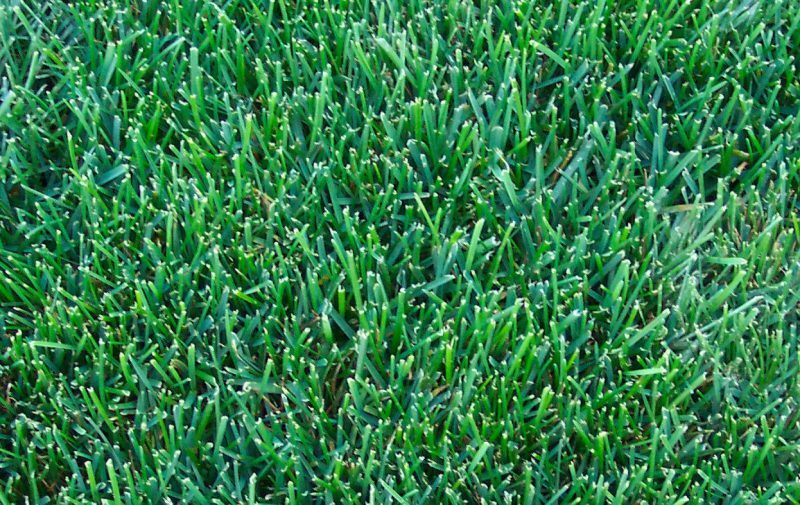 Turf-type tall fescue grass is medium to dark green in color with a coarse texture. It grows in bunches so when planted correctly creates a dense, close-knit turf that is great for high traffic lawn and fields. If not planted properly it can leave unsightly bare spots. Fescue is a cool season grass and is a popular choice in areas with mild winter and warm summers. It is best to plant this seed in September or October so it has time to establish a good root system before the heat of spring or summer. Once established, fescue grows fastest in early spring and fall. This grass is virtually maintenance free when it comes to watering and sunlight. It thrives in full sun to partial shade and will stay green for 8-9 months of the year. It has a high resistance to drought and a low need for water. Regular fertilizing and aerating keeps fescue root systems healthy to avoid bare spots in lawns. Kentucky Bluegrass is one of the most well-known cool season grasses that has been used in many types of lawns and grass areas for many years. It creates beautiful lawns but does not do well in hot, dry climates. This grass that thrives in the northern part of the U.S. has a fine-medium texture with a boat-shaped leaf tip. It can grow up to 18-24” tall if left to grow in natural habitats. It is blue-green in color and can have 3-4 leaves on a shoot. Kentucky Bluegrass grows best in cooler northern areas. 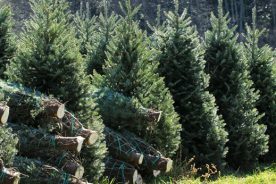 While it is able to withstand cold, it will go dormant in extremely cold winters as well as hot, dry summers. Bluegrass is best grown from seed or sod and is a good choice for filling in bare spots. Most of the time blue grass comes in a blend with other grasses such as fescue or ryegrass to create a more temperature and shade tolerant lawn. With its shallow root system, Kentucky bluegrass is not as resistant to drought as some other grasses. With regular watering during dry conditions it will avoid dormancy or come back if it has already gone dormant. It does well in medium to high traffic areas and will thrive in full sun or partial shade. This grass does require regular fertilization and watering to keep it looking full and green. It should be mowed to a height of 1 ½-2 ½ inches. Perennial ryegrass is often used as over seeding for other warm season grasses because it is able to stay green through the winter but dies during the summer to allow other warm season grasses to be green. Perennial ryegrass is a bright green color making it a perfect choice for golf fairways and greens. It has a medium to coarse texture with thick blades. This cool season grass is best grown in cooler, moist climates that do not experience extreme temperatures. It can predominately be found in the northeastern and northwestern states of the U.S. Ryegrass germinates quickly so it is easy to grow from seeds in the early fall, and is often found in blends with other grass seeds that are more tolerant of heat and cold. If you are looking for a low maintenance grass seed, then perennial ryegrass should not be your first choice. It is very intolerant of heat and drought and requires frequent watering. When used in golf courses, ryegrass is typically watered once a day. Mowing at a 1” height will need to be done every 2 to 3 days. St Augustine grass is native to the Caribbean and Mediterranean, making it a good choice for areas with subtropical climates whose cold temperatures are regulated by warm oceanic climates. St Augustine grass is blue-green in color and has a large, flat stem with broad leaves. It has a coarse texture and creates a dense lawn by spreading with above-ground runners. It is most common to plant St Augustine grass from sod or plugs because it is nearly impossible to obtain seeds as it only produces a few. It is a warm season grass that is popular in southern states especially those along the coasts that have sandy soil. It thrives in heat but will last into the cooler fall unlike other warm season grasses. While this grass is able to survive drought, in order to maintain a lush appearance, it does require weekly watering. It can only handle medium amounts of traffic and is best in full sun or minimal shade. It should be mowed to 3 ½ – 4 inches. St Augustine grass does best in warm temperatures and will suffer if temps drop below 20 degrees. Zoysia grass was first introduced to the United States from Manila in 1911 by a botanist named Karl von Zois. It grew well along seashores and he believed it would thrive as a lawn along both coasts of Florida. There are three main varieties of Zoysia grass and each has its own unique appearance. 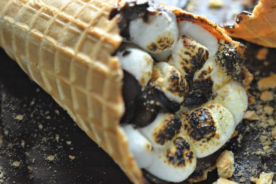 However, they all have a fine to medium texture. They create a dense lawn that is somewhat wiry. It is green in color but will turn straw colored in dry conditions. Zoysia grass is a warm season grass that thrives best in the sandy seashores of the southern states. It is salt tolerant and grows best in well-drained areas. This grass is slow-growing as it establishes a deep root system. It is a very aggressive grass that will easily take over cool season grasses if planted together. This can cause unsightly spots in lawns as the Zoysia grass turns brown as the weather cools while cool season grasses stay green. Due to its deep root system, Zoysia grass is able to find water at greater soil depths during dry seasons. However, it will still turn yellow or brown until its water supply is efficient or not until early Spring. It does well in full sun or partial shade and stands up to high traffic. It is recommended to mow at ¾-2” high and water on a weekly basis. 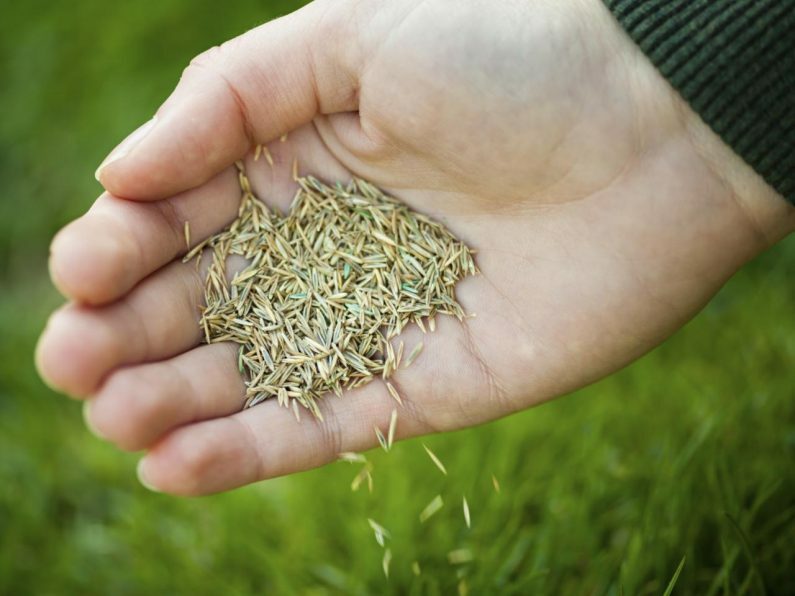 Picking the right grass seed for your lawn can seem overwhelming. Keep in mind that if you start by finding which grasses are best for your climate you can’t really go wrong. 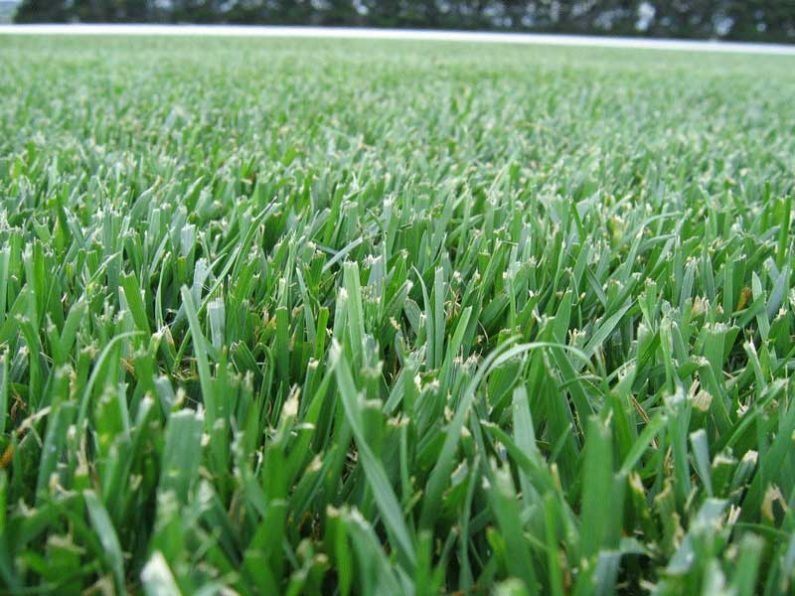 Most places that sell grass seed will only sell the type that is equipped for your area. Pre-packaged grass seeds also tend to come in blends. Whatever you choose to plant will be a combination of the various types of seed mentioned above, making your lawn almost constantly green as the different types acclimate to the temperatures and moisture levels. Check back soon for the next article in our series Grass Seed 101.